The Norwegian electronica artists known as Raffolade have released their latest official single, “The Giraffe.” The track has been proudly published on the Killerbörd Productions independent record label without the direction of the corporate music industry. An upbeat, sparkling, and kaleidoscopic shower of rhythmic notes, “The Giraffe” is the latest reason for fans of electronic music to take note of these creative composers from Norway. Raffolade cite as main artistic influences Jedi Mind Tricks, Placebo, and Yello. Their own style hearkens to the original early ’90s sound that launched more electronic music subgenres than most audiophiles remember today, including house, acid house, Euro house, deep house, jungle, ambient, trance, and many, many more. It’s a sound filled with clever, amusing samples, rainlike patters of colorful synth tones, and a big, bouncy beat to get feet off the floor. “We make silly music,” says Raffolade’s personal info section at their official website. 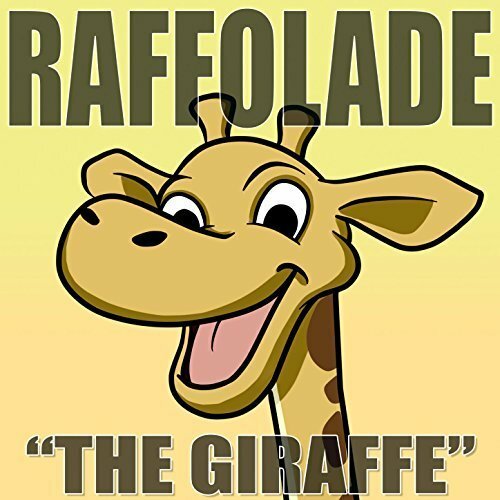 Asked to describe the overall theme of “The Giraffe,” Raffolade replies only, “The giraffe is the most beautiful animal in the world!” Asked to talk about how they got into electronica music production to begin with, Raffolade’s nameless mastermind remains a man of few words. “I’ve been trying to get the voices out of my head!” he says. “The Giraffe” by Raffolade from Killerbörd Productions is available online worldwide now. Fans of ’90s Euro-electronica should definitely get in early. Very early.